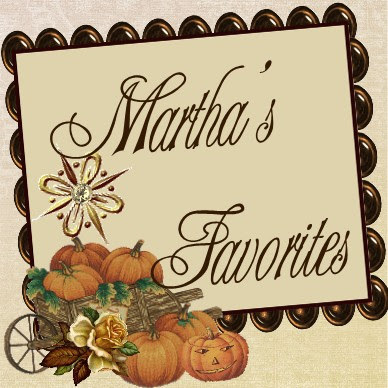 Martha's Favorites: THE TIMELESS ELEGANCE OF TEA CUPS! 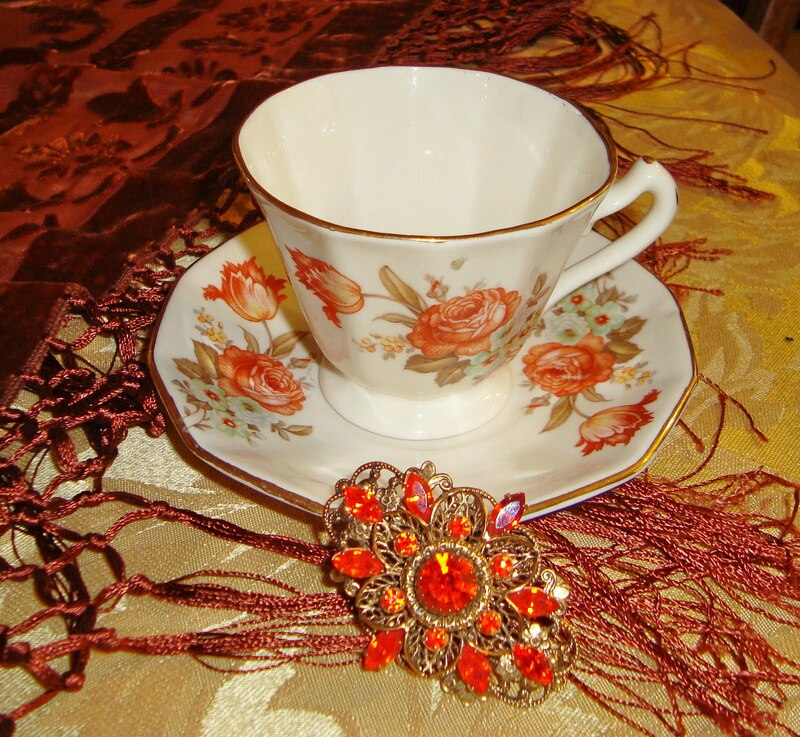 THE TIMELESS ELEGANCE OF TEA CUPS! Hello Ladies! 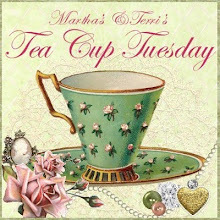 It is our favorite day of the week, Tea Cup Tuesday No. 82! I just have to share, my Grand baby is still not here! She is past her due date, so here we are waiting. I can't hardly stand it! I had the pleasure of attending a special tea this weekend at "Paris in a Cup." This is the second time I have been to this event and it was more than I expected. 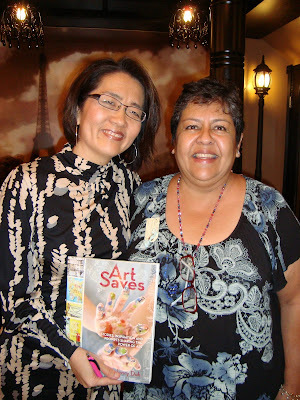 I had the opportunity to hear and meet the the fabulous Jenny Doh. She is the author of many wonderful books as well as the editor of a magazine. The tea brought together ladies who have businesses on line. It was great to meet ladies who are so creative. 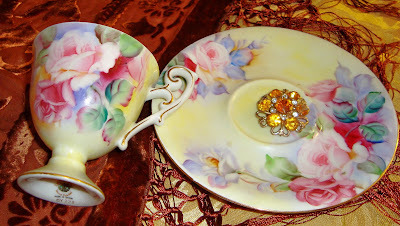 I found this little tea cup the other day at a Thrift Store. It is very pretty and very delicate. I loved it. Have you ever had a moment when you discovered something about yourself, that you don't like or are a little embarrassed about? That's what happened to me with this little cup. Ok, confession time, I don't like cups made in china. I have always thought they were such poor quality, they are heavy and not very will made. I never gave them a second look. (A cup snob, I am sorry! 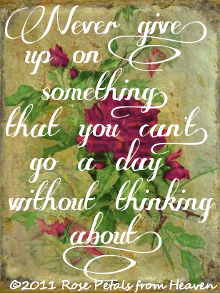 I think it is true.) This cup however, changed my wicked ways! It is signed "Crown China", never really heard of it before. It is the most fragile and delicate cup I have seen in a long time. The pictures so not do it justice. It feels like a Belleek! As you know, orange is not my favorite color, but the cup is stunning. I guess I have to change my whole outlook on cups. I do hope that you do not stop visiting because I discovered I am (was) a cup snob. Like I said, I am changing my evil ways. This next cup is a no brainer, it just fits perfect into the beautiful, have to have, category. It is a yellow, hand painted, rose, Lefton pedestal cup. It is amazing. This next cup is a all gold cup from Bavaria, Germany. I love the all gold look. You feel very special when you drink your tea from this cup. This week's last cup is a Taylor & Kent, from England. I love the shape of the cup. This is the only cup I have with Mums on it. Remember that Give Away? 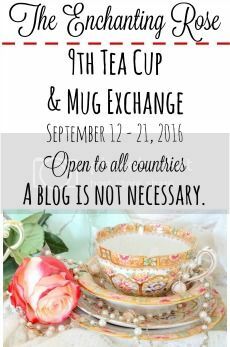 It is time to announce the winner of the tea cup. My Noah, pick the name out of the bowl. 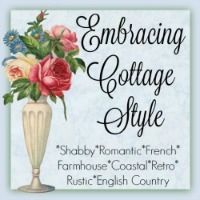 The winner is Sherry, of The Charm of Home, http://thecharmofhome.blogspot.com/. Sherry is an Interior Decorator with a lovely home that I visit and drool over regularly. 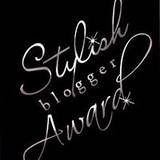 If you have not visited her blog please take a moment. 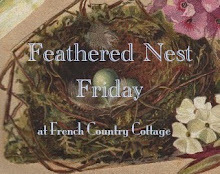 Sherry is an amazing decorator and you will not only learn something, but your eyes will feast on some serious eye candy! 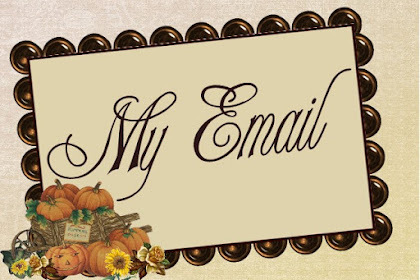 Sherry, email me with your address! Thanks for being a wonderful follower! Here is this week's Mr. Linky. We are early today. Don't forget to visit Terri. She is teaching some amazing classes on line and her last post is of a wonderful Halloween Banner. A must have! Oh, yes, she has amazing cups. You ar soo beautiful women dear Martha. 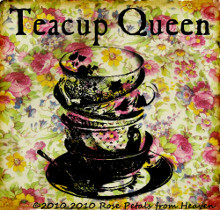 I haven't posted tea cups lately...trying to control my addiction! I understand about being a tea cup snob...I am too...certain CUP handles, certain spouts on pots! And when it comes to tea itself...DH says I am a Tea Snob! Nice cups today as always, Martha!!! Your delicate China teacup is quite sweet, though I do understand about cups made in China. 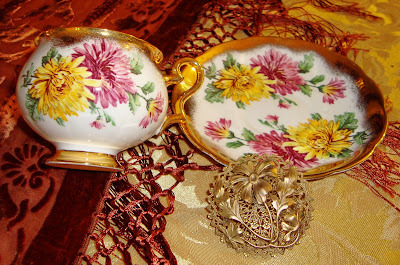 I bought a lovely little forget-me-not set in a thrift store that were made in China..now with all the mess about things coming out of China not being safe (paints, glazes and the like) I don't feel safe drinking from them...sigh...they were a cute little set, too. Maybe I'll post them anyway for Tea cup Tuesday..they are pretty little things. I'm glad you had a nice time over the weekend. 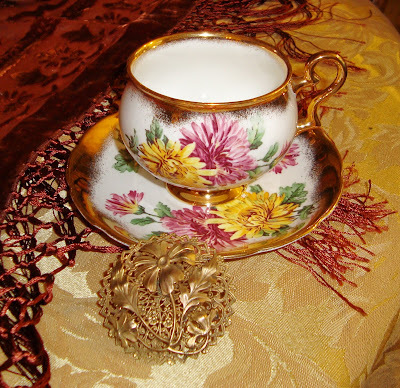 And of course all your cups are lovely...I've never seen a pedestal tea cup before. Yours is very pretty. Oh, I like your Halloween banner very much! Martha, all of your cups are sooo pretty! Wow, I have never seen an all gold cup before. My very favorite is the one with the mums! Beautiful! And such an interesting shape!! Since being a cup snob is on the table, I am too and won't buy any teacups made in China. Now, if I were to find one with a design I just had to have, that could change. 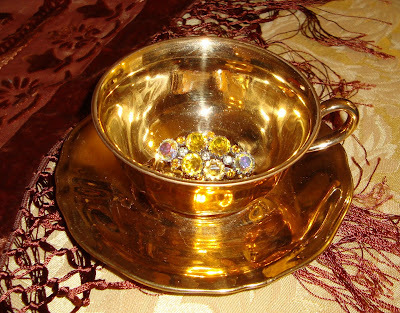 Your teacups today are lovely and as always, nice bling Martha. 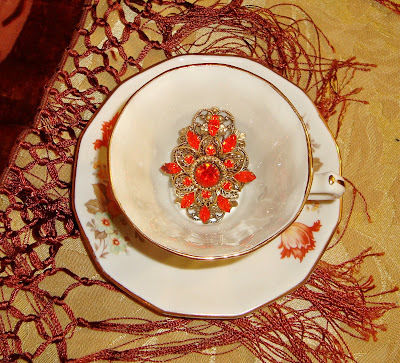 Fun post and good times had by you at the special TEa Event...as usual I am in love and drooling over your cups with that LEFTON one just begging to come to my house and play!! ha - have a great week! Your new little cup is really pretty. I believe you when you say the photo doesn't do it justice. I am so glad you found a little treasure. Also, Wooo Hooo for meeting Jenny! Lucky you! I am also glad you got to go to that fabulous event. Yay for you! Your cups are gorgeous! I love everyone! Hi Martha & Happy TT! Love the Taylor & Kent. Mums speak of fall, don't they? And that is so pretty! Thanks for hosting. How lucky that you attended such a wonderful event and then meet Ms Jenny Doh! 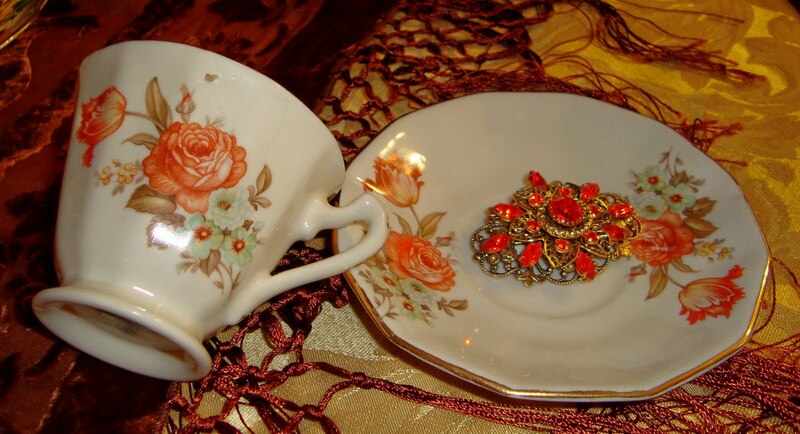 Your teacups are beautiful, including the "Crowned China". Did it say made in china? Thank you for sharing Martha dear. You have a fabulous tea cup collection...I mean you are able to show three or four beautiful designs every week...that's some collection! 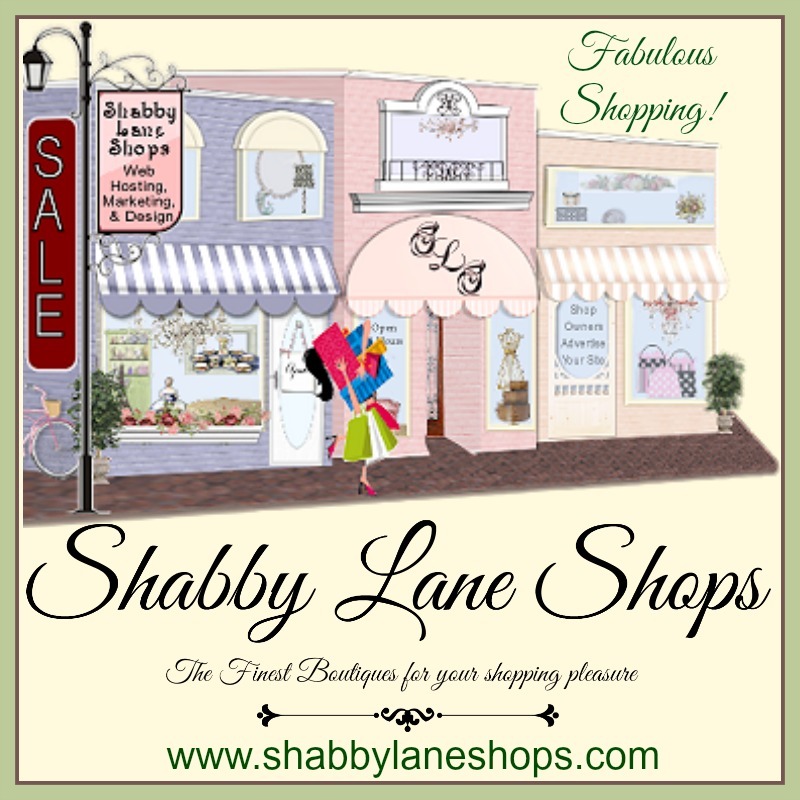 this was a fabulous event and an interesting meeting for you. Your cups are tofday again breath taking and I cant decide which one is best. They are all. Congratulation to Sherry for winning this wonderful price. She will love it, I am sure. You always have the prettiest selection of tea cups Martha! I really love the last one though, Taylor & Kent...love the shape especially! Oh yes, and I am such a big fan of Paris in a Cup...love going there, it's a bit far for me, but I always visit whenever I'm in Old Town Orange. We should meet up someday. Happy Tuesday dear friend! Oh how funny -- a tea cup slob. don't worry -- we still love you! and that delicate orange flowered cup IS beautiful. Isn't it lovely to find something so unexpected? Lovely post -- ADORE the gold cup and saucer! 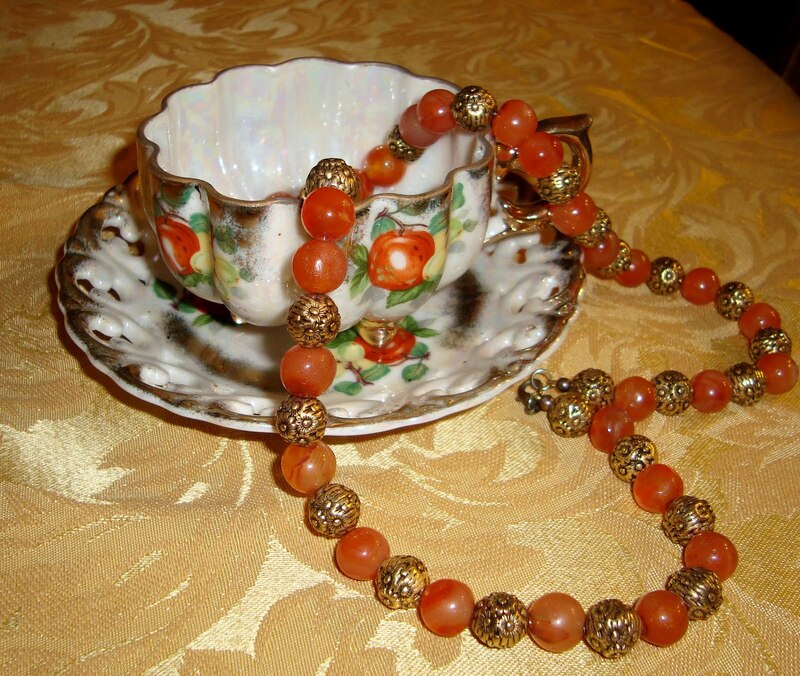 How fun to pair jewelry with your other "jewels". I enjoyed seeing your treasures very much. I'm loving all of your harvest colors. Babies sure do take their sweet time! What fun! Jenny sounds really like a neat person! And your tea cups are lovely! Did you ever look into doing the events at your house? I would totally rent your space for a womens get together. It would be fabulous! Hi, my sweet friend. I love the photo of you and Jenny. You look beautiful!!! I, too, am somewhat of a cup snob, as I rarely want teacups made in China as well. So, you are not alone in that regard. All your showings are totally stunning today (as always.) I absolutely do not have a favorite. I love them all and would enjoy a cup of Earl Grey from any and all of them. By the way, if you are beyond ready for the wee one to make her appearance, just imagine how her momma feels. Can't wait to hear the good news. Paris in a cup sounds fun. Love your Halloween header! That sounds like a wonderful event at Paris In A Cup. 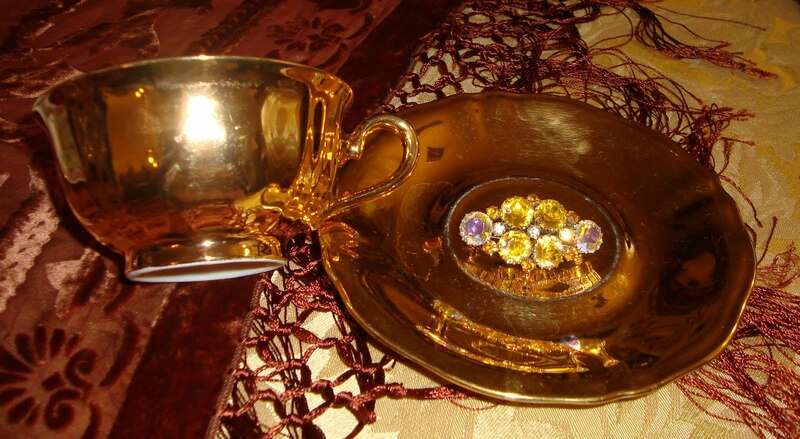 Your teacups are all beautiful (and the jewelry too). 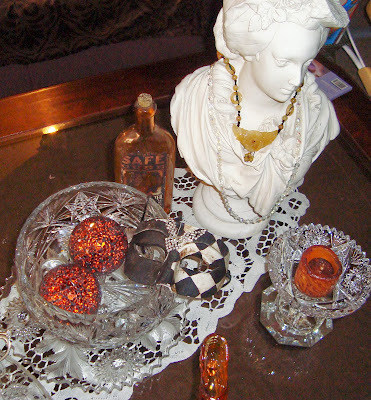 I especially love the colors and shape of the Lefton pedestal cup. What wonderful teacups you have! An amazing collection! I love the gold one and the last one. Hope this goes through. Been having trouble leaving comments on some blogs. Enjoy your week, my friend. Martha, I had to come back today. Your pins are stunning! I love to look at them. Amazing teacups Martha, glad you had a wonderful time. Oh, yipee!! What fantastic news! I love your beautiful tea cups Martha! how exciting to win! Thank you very much!! Hope your sweet little granddaughter arrives SOON! I always have a hard time choosing which one I like best! 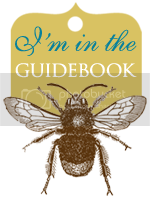 I just viewed your blog for the first time this morning and am so glag that I came upon it. Love to see pretty things and love hearing from other Christians. I was born in California but my family moved to Florida when my dad got out of the navy. 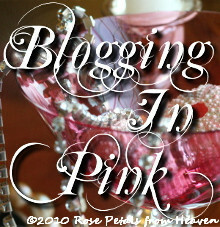 So I figure I have at least 3 things in common with you and will have to keep following your beautiful blog. Sounds like you attende a lovely tea event. Your cups are all beautiful. Congrats to the winner! Thank you for hosting and have a fun week! 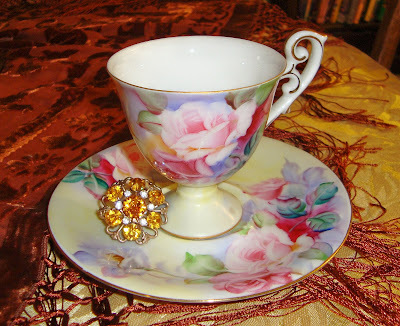 Lovely teacup - I love the roses and the delicate shape - your teacups are always a pleasure to see! Congratulations to Sherry! She's quite wonderful as you are! Hope you have a wonderful week and thank you for hosting! HAPPY HALLOWEEN! TEA CUP TUESDAY NO. 86! MIXING TEA CUPS, FIGURINES & HALLOWEEN! SAVING THE PLANET ONE TEA CUP AT A TIME!